Find out more about joining NEA-SN! You may receive updates from NEA-Southern Nevada, the sponsor of this form. Drop off or mail your forms off to NEA-SN! NEA-SN dues are set at $460 per year! 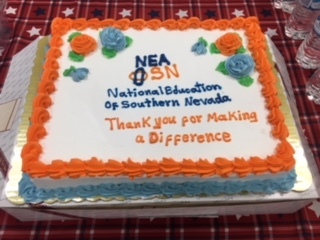 Join today and when you become an NEA-SN member you are immediately a member of NEA of Southern Nevada (NEA-SN), Nevada State Education Association (NSEA), and the National Education Association (NEA). You will be a member in good standing with all three organizations and will have access to all privileges and benefits of membership! Being an educator isn’t a job, it’s a calling. It’s also personally rewarding and professionally demanding. That’s why the NEA-SN strives to provide you with the support you need to be great at what you do. You’re never on your own. Your membership gives you access to some of education’s most sought-after authorities who provide new and innovative programs you can use in your classroom. With resources that cover classroom management and supports, to more in-depth professional development provided by your local, state, and national affiliates—you have a team supporting you. As trusted professionals, educators are best equipped to make school and classroom decisions to ensure student success. It’s our mission to ensure educators have a seat at the table when education policies are made. As members of the Association, educators have a powerful voice in creating the policies that affect our students, our schools, and our classrooms. We’re a community of experienced professionals. Through a variety of online and off-line tools, you enjoy access to valuable resources on classroom management, lesson planning, and a host of other topics. Plus, you’ll make connections with the educators at your school, in your state, and among our more than 3 million members. Membership means less worrying for you and more action from us. 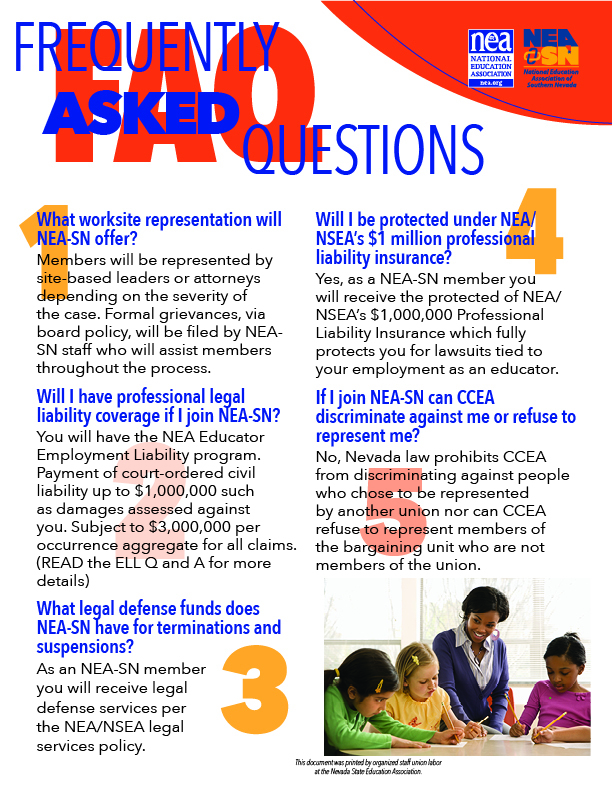 With representation at the bargaining table, liability insurance and so much more, NEA provides advice and professional advocacy on the range of issues you face as an educator: salary, working conditions, evaluation support, contract compliance and enforcement, and retirement. Membership form you can download and share!